L-Tyrosine Capsules are a supplement for the amino acid Tyrosine, which is necessary for creating important neurotransmitters and hormones that have an important effect on the body and its natural processes. Tyrosine is naturally synthesized in our bodies and so it is considered a non-essential amino acid since we don’t have to acquire it through diet. However, L-Tyrosine as a nootropic supplement can bring about helpful cognitive and possible anti-stress benefits. In the body, L-Tyrosine is an amino acid created from another amino acid, phenylalanine. L-Tyrosine is a precursor to various neurotransmitters, which are brain chemicals that help neurons communicate and create electric signals. 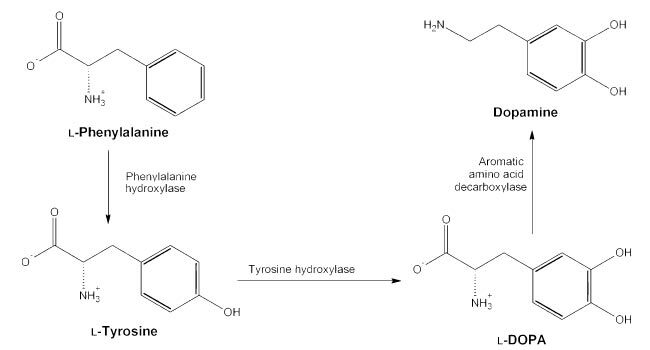 By creating more epinephrine, norepinephrine, and dopamine in the brain, L-Tyrosine may have positive effects on the cognitive areas of alertness, focus, and attention. It helps to create melanin, the hormone responsible for the color in our skin and hair. Melanin also has the ability to remove toxins from the brain. L-Tyrosine has been shown to possibly affect the stress hormones epinephrine and norepinephrine in a positive manner. These two chemical messengers function as neurotransmitters as well as hormones. L-Tyrosine has also been shown to offer cognitive benefits in normal conditions but also possibly in stressful situations like cold temperatures, fatigue, and prolonged work hours. More research is currently underway to understand more about this natural nootropic supplement. As a dietary supplement, take one 500mg L-Tyrosine capsule daily. Learn more by reading L-Tyrosine reviews and experiences below. Where can I Buy L-Tyrosine Capsules? Nootropics Depot offers 120ct. jars of high quality L-Tyrosine capsules. Nootropics Depot's L-Tyrosine has been lab-tested and verified for both product purity and identity. You may also be interested in L-Tyrosine Powder. L-tyrosine potentiates the strength of other nootropics and even adds some focus and happiness which I love. I still gotta do more research on disbalancing the balance of serotonin/dopamine in my body but so far so good. Im only taking 2 every other day with great results.